Freshman year can prove challenging for a number of reasons. Leaving home, meeting new people, and being away from your family are just a few of the obstacles that rush at you during this exciting time. While college is meant to get you out of your comfort zone, it is also a time to party and have fun. Different areas in America have their own subcultures and places to party, and the south-west is particularly fun. 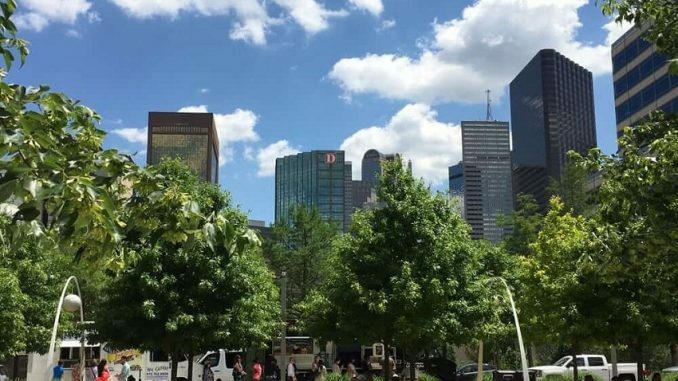 When you attend one of the colleges in Dallas, Texas, you’ll have the opportunity to explore exciting music, sports, and food. Texas is primarily known for country music, and Dallas is home to several concert venues to choose from. As you start the school year, these are great places to meet other students with similar tastes in music. Whether you go to larger venues like the House of Blues and Granada Theater, or check out an all-ages show at Lola’s Saloon, you’re bound to have a great night on the town. Also, for diehard music fans, it’s just a 3 hour ride to the South by Southwest music festival in Austin. Dallas is a great city for sports fans. One of the biggest draws is the powerhouse football team, the Cowboys. Whether you’re watching the game at the student center or venturing the half hour ride to Arlington to catch a game at the aptly named Cowboys stadium, you’ll be surrounded by a crowd. This is a great way to enjoy your break from studying and meet other students. If cars are your thing, there’s the Texas Motor Speedway in Fort Worth, also a quick ride from Dallas. Nascar parties are a blast, and Texas does them in a way no one else does. Another great way to enjoy your weekends in Dallas is to explore the culinary scene. From Tex-Mex to BBQ, Dallas is home to bold, hearty meals in a variety of flavors. Chili cook-offs are great for those who enjoy spicy food. From classic meaty dishes to unique vegetarian bowls, there are dishes for everyone to enjoy. Texas is also known for their BBQ, and Dallas is no exception. Hosting a BBQ on the weekend is great for low-budget, casual fun with your fellow freshmen. Split up the dishes, grab a Frisbee, and enjoy the warm Texas weather. Great weather, fun sports, and a great social scene are all reasons to consider attending one of the colleges in Dallas, Texas. There’s a huge student population, great restaurants, and a down-to-earth music scene. If you choose to go to school there, you’ll never end up asking if there’s anything go on during the weekend, it’s just a matter of what you want to do.